Complete seven dangerous levels with LEGO characters and get as many points as you can. Run forward and try to reach the bunker without losing members and health points. Click on characters to jump from falling projectiles and over pits in the ground. Reach the bunker and collect points. 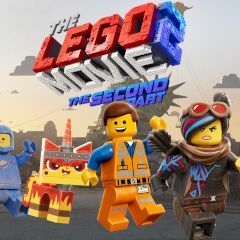 Games Similar LEGO Movie 2 General Chaos Falls On!